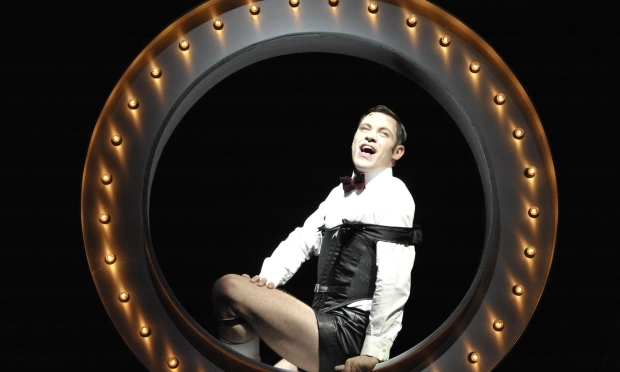 Having seen many productions of Kander and Ebb’s musical, Cabaret, I had sadly missed Rufus Norris’s production with Will Young until yesterday. 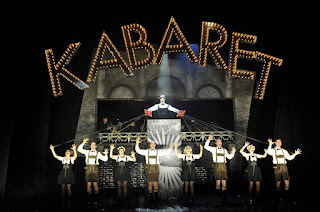 Based on Christopher Isherwood’s Berlin Dairies and John Van Druten’s play, I Am A Camera, Cabaret is, and remains, one of the greatest Broadway musicals that have endured since its original production, directed by Hal Prince, in the 1960s. 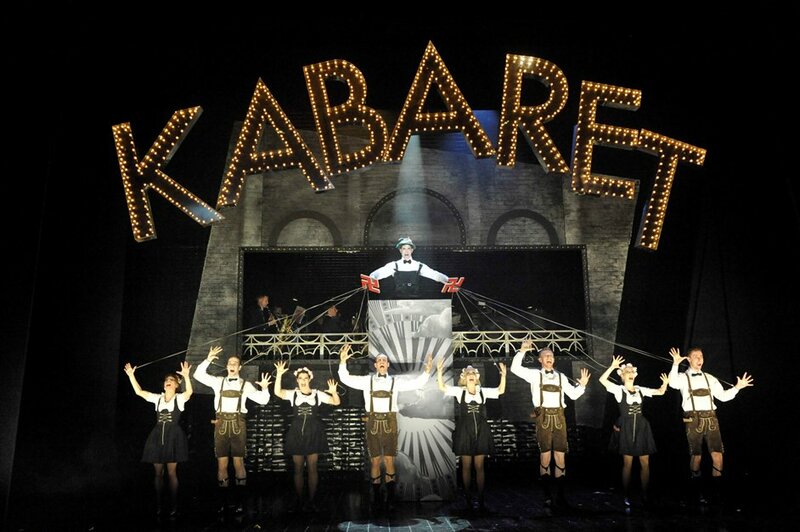 So what of Cabaret at the New Wimbledon Theatre? This is an excellent, breath-taking, original production and would urge everybody to see it. The production, designed by Katrina Lindsay, is visually stunning. From Will Young’s first appearance through the shutter of a camera, the production is clever, intelligent and reinforces the maxim, ‘less is more’. Will Young owns the role of the Emcee. His performance was faultless – seedy, decadent, menacing, powerful, controlling – and the chorus supports his every move with a sinewy ease. Susan Penhaligon as Frau. Schneider and Linal Haft as Herr Schultz give excellent and moving supporting performances as an older couple who find love over a pineapple, only for it to be destroyed by the politics of the time. Sadly Louise Redknapp lacks any real passion in the iconic role of Sally Bowles but at least portrays Sally as Isherwood’s English rose! I would like her to relax and enjoy the part, and hopefully, as the tour progresses, she will sing the title song with the gusto and ultimate feeling that it demands. Judi Dench is still the quintessential Sally Bowles, and these are big shoes to fill for any actress.